On those occassions where you need to impress your friends and family with great plumbing trivia and facts, be sure to share these bits of knowledge about the ever-useful kitchen garbage disposal! Did you know that food waste is the largest type of waste entering landfills, and nearly 30-40% of the U.S. food supply is thrown in the trash each year? The installation of a garbage disposal unit in your home will help to reduce that amount. 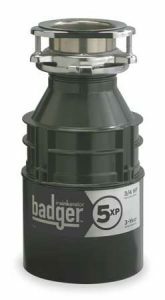 Using a garbage disposal instead of throwing food in the trash will significantly help to reduce the possibility of attracting rodents and other pests. Keep rats, mice, and other unwanted animals from loitering and breeding around garbage cans and local landfills. 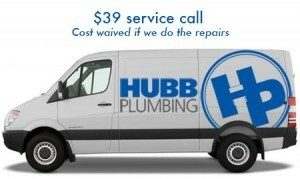 If you currently don’t have a garbage disposal unit, give us a call at Hubb. We can get you up and running in no time. Give us a call today – you’ll be saving the environment and keeping pests at bay in no time! Fibrous foods like celery, onion peels, lettuce, corn husks, asparagus etc. Call us today. As your Gwinnett County plumber, we’ll keep your kitchen garbage disposal in tip-top shape. Just pick up the phone and give us a call!